_Q4P9908: News: Portfolios: Alvaro Canovas, freelance photographer based in Paris, France. News, Portraits, Commercial assignments. Alvaro Canovas photographe basé à Paris. Actualités, portraits, commandes commerciales. Croatie, Septembre 2015. Des réfugiés Afghans, Irakiens et Syriens tentent de forcer le passage vers un train en gare de Tovarnik. Croatia, September 2015. 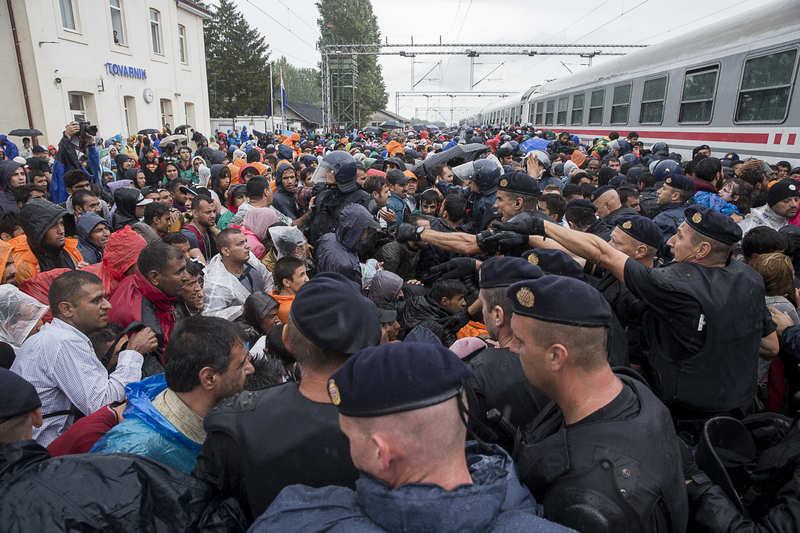 Refugees mainly from Afghanistan, Irak and Syria try to make there way through to a train in Tovarnik railway station.